Performing routine, yearly maintenance on your existing roof of your Lowell, MA area home can extend the lifespan of your roof not to mention keep it looking nice and performing the way it should. So putting Roofing Service Pro’s experienced roofing contractors to work with your roof cleaning services is a wise decision and one that will save you money in the long run. If your roof’s expected lifespan is, say, 20 years, wouldn’t it be nice to add a few years to that? Our roof cleaning services can do just that. And these roof cleaning services are performed by the best in the region as each of our roofing contractors are experienced, certified, licensed, insured and bonded, so you know the job is being performed by the best. The primary problems we see with a dirty roof involve nature doing its worst. Problems like mildew, mold, algae, moss, lichen and excess debris scattered around your roof in inside gutters, chimneys, skylights and other areas can leave your roof looking dirty, bespoiled and just plain lousy and cluttered. 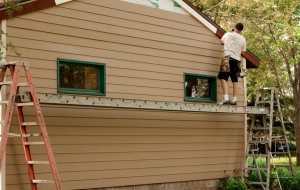 Leave this situation too long, and it can begin to cause severe issues to the shingles (or other material protecting your roof), and this can get underneath to the wood. And then, well, rot and worse can lead you to not only need a new roof but the underneath supporting the shingles. So let our team of experienced roof cleaning experts keep this from happening by performing an annual roof cleaning to help extend the life expectancy of your roof. At Roofing Service Pro’s, we provide roof cleaning services to the Lowell, MA area. So let our professional roof cleaning experts keep, maintain, and protect your investment. Call one of our friendly and knowledgeable associates today at (978) 577-5300; we’ll answer your questions and offer you a no-hassle, free estimate.